His research is based on understanding energy use in the built environment whether this is at home, at work or at a broader urban scale. He is a specialist in micro-generation technologies including solar thermal, photo-voltaics, micro-wind and micro-CHP (see www.energy.soton.ac.uk). Current major research projects span Energy for Development (rural electrification in Africa), future urban environments (liveablecities) and household energy use (energy and community, intelligent agents, energy and census data).He is the Principle Investigator of APERIO, an EPSRC funded study looking into the use of cameras for facade management in non-domestic buildings. He is the Director of Programmes for postgraduate taught energy, overseeing the (i) MSc Energy and Sustainability, and (ii) MSc Sustainable Energy Technologies programmes. He is an Associate Editor of the IET Renewable Power Generation Journal and an energy based research assessor for several national funding agencies. He specialises in energy in the built environment, where he teaches modules related to (i) energy performance assessment, (ii) climate change and settlements, (iii) energy resources and (iv) bioclimatic design. Patrick is a co-author of the CCWeatherGen and CCWorldWeatherGen software tools (see www.energy.soton.ac.uk - publications) used to morph building simulation weather files to incorporate climate change projections. 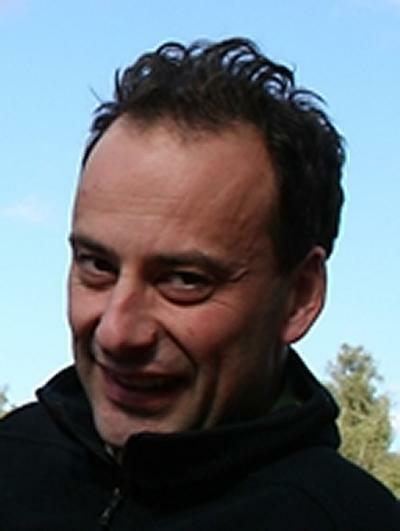 He is the lead author of several major studies including the national micro-wind trial for the Energy Saving Trust (Location, location, location: domestic small-scale wind field trial report, (see publications) and an assessment of heat recovery from UK power stations for the ICE (Why waste heat?, 2009). 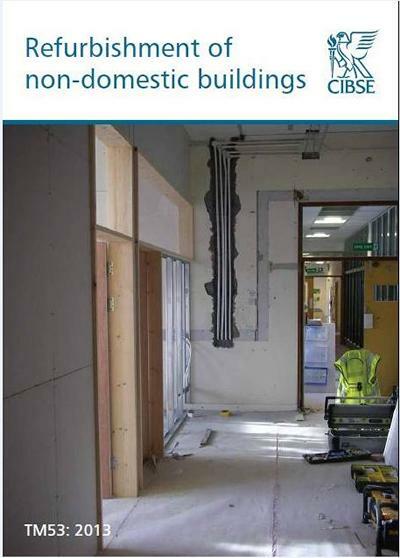 He is also a co-author of a new CIBSE TM guide ‘TM53: 2013, Refurbishment of non-domestic buildings' published in September 2013. How does the façade of a building deliver comfort to occupants? To what extent does giving users control of their space compromise a building's potential energy performance? How can the provision of electricity can help transform lives and opportunities for Africa's rural communities. Can this be made economically sustainable? 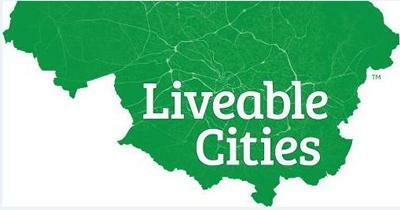 What might low carbon city living look like in the UK in 2050? What will people ‘accept' in terms of lifestyle and opportunities to travel.... What will our energy infrastructure have to deliver? James, P. A. B., Bahaj, A. S., Anwar, A. A., & Myers, L. E. (2009). Location, location, location: domestic small-scale wind field trial report. London, GB: Energy Saving Trust. Jentsch, M. F., Goodwin, M., Adams, G., Banfill, P., Davies, R., Goymer, G., ... Wright, B. (2013). TM53 refurbishment of non-domestic buildings. CIBSE. Teli, D., James, P. A. B., & Jentsch, M. F. (2014). Do the constants used in adaptive comfort algorithms reflect the observed responses of children in junior school classrooms? Proceedings of 8th Windsor Conference: Counting the Cost of Comfort in a changing world. Dimitriou, T., Teli, D., James, P. A. B., Bahaj, A. S., Ellison, L., & Waggott, A. (Accepted/In press). Impact of current occupant behaviour on potential carbon savings in a council owned tower block undergoing retrofit. CIBSE ASHRAE Technical Symposium. Bahaj, A. S., & James, P. A. B. (2003). Comfort and energy efficiency in the modern office. Public Service Review: Transport, Local Government and the Regions, (Winter 2003), 245-247. Bahaj, A. S., James, P. A. B., & Moeschler, F. D. (1998). Wastewater treatment by bio-magnetic separation: a comparison of iron oxide and iron sulphide biomass recovery. Water Science & Technology, 38(6), 311-317. Bahaj, A. S., James, P. A. B., Kirby, C. E., & Watkins, P. (1996). Bioleaching of iron stained silica sand. Transactions Of The Institution Of Mining And Metallurgy,Section C - Mineral Processing And Extractive Metallurgy, (105), C72-C74. Bahaj, A. S., & James, P. A. B. (1993). Characterisation of magnetotactic bacteria using image processing techniques. IEEE Transactions on Magnetics, 29(6), 3358-3360. Rushby, T., Anderson, B., Bahaj, A., & James, P. (2018). Seeing the light: The effects of LED light bulb installation on electricity demand in UK households: results of a large n randomised control trial. Paper presented at 12th OERC Energy & Climate Change Symposium 2018, Wellington, New Zealand. Gauthier, S., Teli, D., James, P., & Stamp, S. (2017). Are heavyweight buildings more comfortable? The potential of thermal mass in increasing thermal comfort. Paper presented at Passive Low Energy Architecture, Edinburgh, United Kingdom. Bourikas, L., Allott, N., Bahaj, A., Connelly, J., Gauthier, S., & James, P. (2017). Elderly Support To Inspired Ageing (ESTIA). Paper presented at Passive Low Energy Architecture, Edinburgh, United Kingdom. Harper, M., James, P., Anderson, B., & Bahaj, A. (2017). Identifying key influences for planning acceptance of onshore wind turbines. Paper presented at 30th International Conference on Efficiency, Cost, Optimisation, Simulation and Environmental Impact of Energy Systems, San Diego, United States. Harper, M., Anderson, B., James, P., & Bahaj, A. (2017). Identifying suitable locations for onshore wind turbines using a GIS-MCDA approach. Paper presented at 16th International Conference on Sustainable Energy Technologies, Bologna, Italy. Gauthier, S., Aragon, V., Bourikas, L., James, P., & Teli, D. (2016). Investigating the impact of communal heating charges on internal temperature profiles, thermal expectation and excess in energy demand. Paper presented at DEMAND 2016 Conference, Lancaster, United Kingdom. AMIN, RUCHA., Teli, D., & James, P. (2016). Investigating the impact of thermal history on indoor environmental preferences in a modern halls of residence complex. 1-15. Paper presented at 9th Windsor Conference, Windsor, United Kingdom. Teli, D., Gauthier, S., Aragon, V., Bourikas, L., James, P., & Bahaj, A. (2016). Thermal adaptation to high indoor temperatures during winter in two UK social housing tower blocks. In Proceedings of The 9th Windsor Conference: Making Comfort Relevant UK: The Windsor Conference. Bourikas, L., James, P. A. B., Bahaj, A. S., Jentsch, M. F., Shen, T., Chow, D. H. C., & Darka, J. (2015). A simplified 3D urban unit representation for urban microclimate simulations: a case study in China’s ‘Hot Summer and Cold Winter’ climate zone. Paper presented at 14th International Conference on Sustainable Energy Technologies, Nottingham, United Kingdom. Papafragkou, A., Ghosh, S., James, P. A. B., Rogers, A., & Bahaj, A. S. (2013). Assessing standard assessment procedure (SAP): low cost measurement-based alternatives to SAP in housing. Paper presented at 12th International Conference on Sustainable Energy Technologies (SET-2013), China. Teli, D., Jentsch, M. F., James, P. A. B., & Bahaj, A. S. (2012). 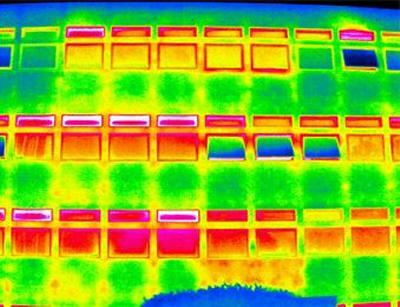 Field study on thermal comfort in a UK primary school. Paper presented at 7th Windsor Conference: The Changing Context of Comfort in an Unpredictable World, United Kingdom. Teli, D., Jentsch, M. F., James, P. A. B., & Bahaj, A. S. (2011). Overheating risk evaluation of school classrooms. 1821-1828. Paper presented at Proceedings, World Renewable Energy Congress 2011, Sweden. Papafragkou, A., James, P. A. B., & Bahaj, A. S. (2011). The impact of the GB Feed-in Tariffs and Renewable Heat Incentive to the economics of various microgeneration technologies at the street level. Paper presented at WREC 2011: World Renewable Energy Congress 2011, Sweden. Jentsch, M. F., Chang, C. K., James, P. A. B., Bahaj, A. S., & Yau, Y. H. (2009). Development of climate change adapted weather files for building performance simulation: implications for southeast asia. 1338-1343. Paper presented at World Renewable Energy Congress 2009 - Asia, . Kaur, R., James, P. A. B., Bahaj, A. S., Dutson, J., Thwaites, M., & Horton, B. (2009). Hydrogen and Argon as p and n type doping gas mixtures: impact on the efficiency and stability of sputtered amorphous silicon solar cells. Paper presented at 24th European Photovoltaic Solar Energy Conference and Exhibition, Germany. Chang, C. K., Jentsch, M. F., James, P. A. B., Yau, Y. H., & Bahaj, A. S. (2009). Performance implication of climate change on heating, ventilating and air conditioning (HVAC) systems in Malaysia. In Proceedings of the World Renewable Energy Congress 2009 (pp. 827-832). Bangkok, Thailand: King Mongkut's University of Technology. Bakker, N., Chang, C. K., James, P. A. B., Jentsch, M. F., Yau, Y. H., & Bahaj, A. S. (2009). User feedback strategies to enhance the performance of office buildings in tropical climates. Paper presented at World Renewable Energy Congress 2009, . Kaur, R., Dutson, J., Thwaites, M., James, P. A. B., & Bagnall, D. (2008). A comparative study of low hydrogenated amorphous silicon with commercially available thin film silicon solar cells. Paper presented at 23rd European Photovoltaic Solar Energy Conference and Exhibition, . Jentsch, M. F., James, P. A. B., & Bahaj, A. S. (2008). Climate change and energy outlook of large scale retail units: A ‘home improvement store’ perspective. 843-844. 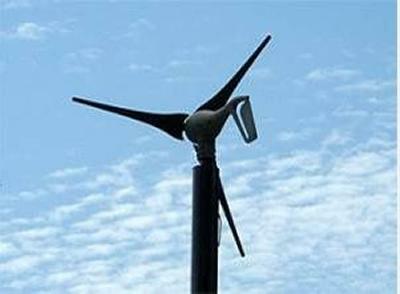 Paper presented at Tenth World Renewable Energy Congress and Exhibition (WREC-X), 2008, . James, P. A. B., Kirchgaessner, B., Jentsch, M. F., & Bahaj, A. S. (2008). Impact of user behaviour on the heating season carbon footprint of naturally ventilated UK offices. 845-850. Paper presented at Tenth World Renewable Energy Congress and Exhibition (WREC-X), 2008, . Papafragkou, A., James, P. A. B., Jentsch, M. F., & Bahaj, A. S. (2008). Street level microgrid concepts for Southampton, UK: Estimating climate change impact on energy flows and emissions. Paper presented at Tenth World Renewable Energy Congress and Exhibition (WREC-X), United Kingdom. Jentsch, M. F., James, P. A. B., & Bahaj, A. S. (2007). Evaluating climate change implications for typical office buildings in the UK: is the current building stock future-proof?. Paper presented at International Networking of Young Scientists (INYS) on Renewable Energy, Kuala-Lumpur, 12-16 November 2007, . Sissons, M. F., James, P. A. B., Myers, L. E., Bahaj, A. S., Anwar, A. A., Double, K., & Russil, J. (2007). UK field trial assessment of the potential of microwind in the built environment. Paper presented at Proceedings International Networking of Young Scientists (INYS) on Renewable Energy, . Jentsch, M. F., James, P. A. B., & Bahaj, A. S. (2006). A climatic envelope extension of an office building - perception and reality of the change in environmental conditions. Paper presented at Proceedings CIBSE National Conference, . Bahaj, A. S., James, P. A. B., & Jentsch, M. F. (2006). A critical appraisal of the added value of BiPV in atria. In Proceedings 2nd International Conference of Renewable Energy in Maritime Island Climates (REMIC 2) (pp. 273-278). REMIC. James, P. A. B., Jentsch, M. F., & Bahaj, A. S. (2006). B-space: pre-refurbishment assessment and classification of building facades. In Proceedings 2nd International Conference of Renewable Energy in Maritime Island Climates (REMIC 2) (pp. 221-227). REMIC. Bahaj, A. S., James, P. A. B., & Myers, L. E. (2006). Economics of future energy systems. In Proceedings of the 8th World Renewable Energy Congress (WREC VIII) Elsevier Science. Papafragkou, A., Bahaj, A. S., James, P. A. B., & Jentsch, M. F. (2006). Energy flows in domestic buildings: residential combined heat and power (CHP) microgrids. Paper presented at Proceedings World Renewable Energy Congress (WREC-IX), Italy. Watson, J., Sauter, R., Bahaj, A. S., James, P. A. B., Myers, L. E., & Wing, R. (2006). New deployment models for mirco-generation: economic, regulatory and policy issues for the UK. Paper presented at 29th IAEE International Conference, . Jentsch, M. F., James, P. A. B., & Bahaj, A. S. (2006). Secondary facade layers in building refurbishment and their potential impact on building performance. In World Renewable Energy Congress 2006 Elsevier Science. Bahaj, A. S., James, P. A. B., & Jentsch, M. F. (2006). Sustainable refurbishment: quantifying the impact of façade changes in multi-storey, multi-occupancy buildings. In World Renewable Energy Congress 2006 Elsevier Science. James, P. A. B., Jentsch, M. F., & Bahaj, A. S. (2006). Window opening and blind usage patterns in a naturally ventilated office building: to what extent does user behaviour compromise potential building performance? In World Renewable Energy Congress 2006 Milano, IT: Elsevier Science. Chen, Z., Clements-Croome, D. J., Hong, J., Li, H., Kaluarachchi, Y., Jones, K. G., ... Bahaj, A. S. (2005). A facade casebase for teaching and learning intelligent buildings. In Proceedings of CISBAT 2005: Renewables in a Changing Climate - Innovation in Building Envelopes and Environmental Systems (pp. 581-584). CISBAT. James, P. A. B., Jentsch, M. F., Bahaj, A. S., & Uittenbogaard, J. G. M. (2005). Assessment of building envelope refurbishment options to achieve sustainable energetic performance in a high thermal mass office building. 522-529. Paper presented at Proceedings of the Conference on Sustainable Building South East Asia (SB04SEA), . Kaluarachchi, Y., Jones, K., James, P. A. B., Jentsch, M. F., Bahaj, A. S., Clements-Croome, D. J., & Gann, D. M. (2005). Building facades: issues of sustainability, maintenance and refurbishment. Paper presented at EPSRC SUE Vision into Action Conference Proccedings, . Bahaj, A. S., & James, P. A. B. (2004). Direct and indirect benefits of grid connected photovoltaics in low energy social housing. In Proceedings of the 8th World Renewable Energy Congress (WREC VIII) Elsevier Science. Bahaj, A. S., & James, P. A. B. (2004). EU wide field results of holographic optical elements used for solar control in buildings. Paper presented at Proceedings of the 8th World Renewable Energy Congress (WREC VIII), . Bahaj, A. S., & James, P. A. B. (2004). Inverter operating voltage selection for optimum energy yield: Do predictions match reality?. Paper presented at Proceedings of the 19th European Solar Energy Conference and Exhibition, . James, P. A. B., & Bahaj, A. S. (2004). Modelled and measured performance of inverters operating at various power ratings: Impact on energy yield. Paper presented at Proceedings of the 8th World Renewable Energy Congress (WREC VIII), . Bahaj, A. S., James, P. A. B., & Mueller, H. F. O. (2004). Modern and traditional solar control options for an office in Athens: predicted performance comparisons. 16-19. Paper presented at Proceedings of the 1st Symposium on Technological Development in Daylight Applications, . Bahaj, A. S., & James, P. A. B. (2004). Multiple string inverters for PV systems <5kwp: When is this justified? In Proceedings of the 8th World Renewable Energy Congress (WREC VIII) Elsevier Science. Bahaj, A. S., & James, P. A. B. (2004). Photovoltaic atrium on a new administration and student services building - University of Southampton. Paper presented at Proceedings of the 19th European Solar Energy Conference and Exhibition, . Bahaj, A. S., James, P. A. B., & Mueller, H. F. O. (2004). The potential of lightguiding holographic optical elements for solar control: a case study of a university office building. Paper presented at CIB World Building Conference (CIB2004), . Bahaj, A. S., & James, P. A. B. (2003). Responsive building envelopes for the urban environment. Paper presented at CISBAT 2003 Proceedings, Innovation in Building Envelopes and Environmental Systems, . James, P. A. B., & Bahaj, A. S. (2002). Economics of solar powered refrigeration transport applications. In Conference Record of the Twenty-Ninth IEEE Photovoltaic Specialist Converence 2002 (pp. 1561-1564). IEEE. Bahaj, A. S., Braid, R. M., & James, P. A. B. (2002). Post installation optimisation of a building integrated PV system at Southampton University. In 29th IEEE Photovoltaic Specialist Conference (pp. 1504-1507). IEEE. Bahaj, A. S., & James, P. A. B. (2001). A sustainable energy supply for Bellingshausen research centre Antarctica. Paper presented at PV Horizon : Workshop on Photovoltaic Hybrid Systems, . Bahaj, A. S., James, P. A. B., & McBride, J. W. (2001). Accelerated lifetime testing of photovoltaic connectors – implications to built environment applications. In Proceedings of the 17th European solar energy conference (pp. 630-633). Munich, Germany: WIP. Bahaj, A. S., James, P. A. B., & McBride, J. W. (2001). Accelerated lifetime testing of photovoltaic connectors: implications to built environment applications. In Proceedings of the 17th European Solar Energy Conference held in Munich, Germany, 22-26 October 2001 [3-volume book set and CD-ROM] (pp. 630-633). Munich, Germany; Florence, Italy: WIP-Munich and ETA-Florence. Bahaj, A. S., Braid, R., & James, P. A. B. (2001). An assessment of the building integrated photovoltaic facade and its operational mismatch losses at Southampton University. In Proceedings of UK-ISES REMlC conference (pp. 111-118). Solar Energy Society Publications. Bahaj, A. S., & James, P. A. B. (2001). Mismatch losses in large PV arrays at Southampton University applications. Paper presented at 17th European Solar Energy Conference and Exhibition, . Bahaj, A. S., & James, P. A. B. (2000). Successful trials update for the application of solar refrigeration in food transport. Paper presented at 16th European Solar Energy Conference and Exhibition, United Kingdom. Bahaj, A. S., James, P. A. B., & Moeschler, F. D. (1997). Low magnetic field separation system for metal loaded magnetotatic bacteria. Paper presented at International Conference on Magnetism, Australia. Bahaj, A. S., & James, P. A. B. (1997). Photovoltaic roof tiles: Design and integration in buildings. Paper presented at Conference on Sustainable Buildings, United Kingdom. Bahaj, A. S., James, P. A. B., & Mohamed, A. S. (1995). An economic feasibility study of achieving cash crops water requirements by PV water pumping in Egypt. Paper presented at 13th European PV Solar Energy Conference, France. Bahaj, A. S., James, P. A. B., Watkins, P., & Kirby, C. E. (1995). Bioleaching of iron stained silica sand. Paper presented at UK Minerals Industry Conference, . Bahaj, A. S., James, P. A. B., & Moeschler, F. D. (1995). Image processing techniques to characterise microorganisms used in the extraction of metals from the environment. Paper presented at Colloquium on: Sensors and Systems for Environmental Monitoring and Recycling, United Kingdom. Bahaj, A. S., Croudace, I. W., & James, P. A. B. (1994). Treatment of heavy metal contaminants using magnetotactic bacteria. Paper presented at Interfiltra-Intermembrane 94, . Bahaj, A. S., Croudace, I. W., & James, P. A. B. (1993). Heavy metal removal using magnetotactic bacteria. Paper presented at ISSM-93 Conference, United Kingdom. Bahaj, A. S., & James, P. A. B. (1993). Magnetotactic bacteria in environmental clean up. Paper presented at IEE Colloquium on Magnetic Separation, United Kingdom. Gregory, F. E., Bahaj, A. S., & James, P. A. B. (1993). Stimulating market success for solar energy: A global perspective. Paper presented at International Solar Energy Congress, Hungary. Bahaj, A. S., Beech, I. B., Campbell, S. J., James, P. A. B., & Walsh, F. C. (1992). The effect of magnetic fields on biofilm formation by sulphate reducing bacteria and its implications in the corrosion of iron and steel. 5-12. Paper presented at US National Science foundation workshop on Biocorrosion & Biofouling, . Gauthier, S., Aragon, V., James, P., & Anderson, B. (2016). Occupancy Patterns Scoping Review Project. Department for Business, Energy & Industrial Strategy. Jentsch, M. F., James, P. A. B., & Bahaj, A. S. (2012). CCWorldWeatherGen software: Manual for CCWorldWeatherGen climate change world weather file generator. Southampton, GB: Sustainable Research Energy Group, University of Southampton. Jentsch, M. F., James, P. A. B., & Bahaj, A. S. (2009). CCWeatherGen software: Manual for CCWeatherGen climate change weather file generator. Southampton, GB: Sustainable Research Energy Group, University of Southampton. Watson, J., Sauter, R., Bahaj, A. S., James, P. A. B., Myers, L. E., & Wing, R. (2006). Unlocking the power house: policy and system change for domestic micro-generation in the UK. Brighton, UK: Social Policy Research Unit. Anderson, B., Rushby, T., Bahaj, A., & James, P. (2019). We got the power: Clarifying the role of statistical power and statistical significance in study design, inference and decision making in energy demand reduction studies. Southampton: Universty of Southampton. Bardsley, N., Buchs, M., James, P. A., Papafragrou, A., Rushby, T., Saunders, C., ... Woodman, N. (2013). Initial effects of a community-based initiative for energy saving: an experimental analysis. University of Southampton. I lead the energymasters MSc programmes within the Faculty. My teaching interests span micro-generation and the built environment. 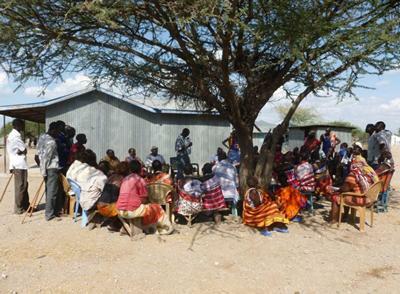 In particular, how can we create the spaces in which people will want to live and work which are truly sustainable.